At BRIC JazzFest this year, you might just find yourself listening to some musicians who aren’t quite old enough to get into jazz clubs themselves—but don’t let that worry you! They’re part of the Groove Diplomacy Youth Orchestra, led by LaFrae Sci, an internationally sought composer, drummer, and educator. LaFrae started the nonprofit Groove Diplomacy Youth Orchestra about three years ago, while working as a cultural ambassador for the U.S. State Department. The program’s mission is to create youth engagement programs using musical expression as a vehicle to empower, ignite, heal & create mutual understanding. When BRIC invited her to perform as part of the BRIC JazzFest Marathon this year, LaFrae decided now was the time to introduce the program to the United States after several years working in countries such as Guatemala and Siberia. LaFrae worked with colleagues in the music education community to identify talented students who would be willing to expand their musical journey and join the group. The Groove Diplomacy Youth Orchestra includes about 10 students from Manhattan and Brooklyn who have been rehearsing weekly for their BRIC JazzFest debut on Friday, October 20. The set list will include Charles Mingus’ Fables of Faubus and John Coltrane’s Alabama, among other classic jazz pieces. After BRIC JazzFest, LaFrae is planning to expand the Groove Diplomacy Youth Orchestra with a summer program and separately, she will be doing work with the men’s and women’s detention centers at Rikers Island. 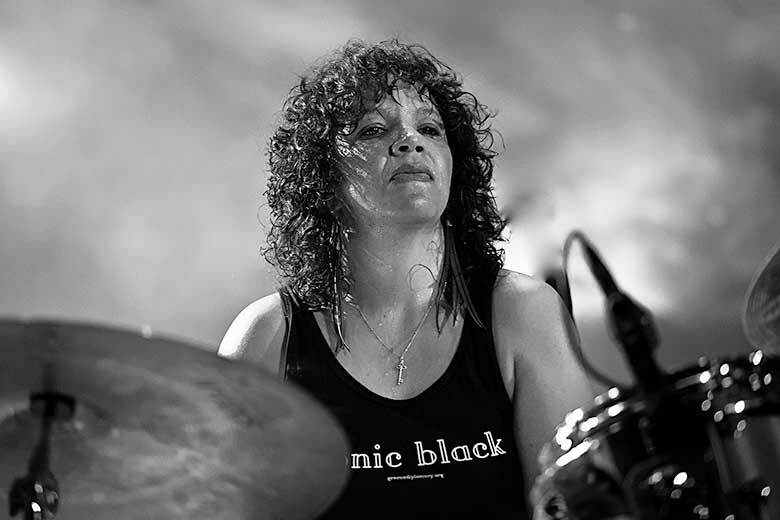 Additionally, beyond her work as a performer and leader of the Groove Diplomacy Youth Orchestra, LaFrae teaches at Jazz at Lincoln Center and Carnegie Hall and is a founding teaching member of the Willie Mae Rock Camp for Girls in New York City. Earlier in the week during BRIC JazzFest, she will also lead educational workshops at BRIC for local Brooklyn schools. See LaFrae Sci + the Groove Diplomacy Orchestra during BRIC JazzFest Marathon Friday, on October 20, 2017.